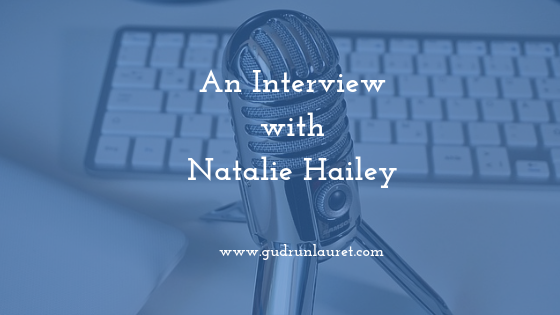 In the second interview in the series, I talk to Natalie Hailey about her Hot Content podcast, why she started it and what benefits it’s brought to her business. If you’d like to read the full transcript, you can download it here (no email required), watch the video above or just listen to the audio. Natalie runs her own business, Hot Content, where she helps individuals and businesses make content happen. Most people find creating high-quality content, whether that’s videos or blogs, to be time consuming and hard to be consistent with. Natalie is their outsourced content manager, supporting them with their content from creation to publication. Natalie readily admits that she always thought podcasts were for techy experts who knew how to put shows together, and that wasn’t something she could see herself doing. However, although she has no trouble creating blogs for clients, Natalie struggled to write them regularly herself, and found that she didn’t enjoy the process at all. To be successful with content creation, you need to first find something you enjoy doing. A conversation with The Podcast Host, Colin Gray, reassured her that podcasting could be easy, and after mulling things over at the end of 2017, she launched her podcast in the January of 2018. And she’s never looked back! Natalie’s podcast audience are usually solopreneurs or small business owners and they’re all content creators in one way or another. Natalie says that what ties them together is understanding the importance of content, but need processes and consistency. Natalie’s guests have a variety of skills and experience, but she chooses them so the listeners get advice, tips and tricks from the people who do it best to help them do that in their own business. Each guest has something to bring to the table that can help hep people produce that content to a higher quality, and to do it quicker and in a way that helps people fit into their everyday lives. More importantly, Natalie believes that: “By the guests sharing their experiences and struggles, and talking about how they’ve overcome them, the listeners realise that they’re not alone in feeling overwhelmed by content creation.” They can implement the advice from those experts. Although they’re on the increase, podcasts still aren’t a common medium when it comes to content creation and what we’re used to experiencing in the UK. People are still coming around to the idea of blogging. Natalie says that this helps her to differentiate herself from the competition and stand out. While there may be fewer listeners than readers, they’re getting more value, because it’s a more intimate experience. Podcasts help the audience get to know somebody’s voice, to appreciate their content and get to know them. This allows the podcaster to form a deeper connection and build stronger relationships with their audience. One of the big advantages for Natalie is that her podcast allows her to lead by example. As part of her job is to help other people create content, she has to demonstrate that she does that too. Natalie adds that her podcast acts as marketing for her and ger business, because lots of people are familiar with her show. It proves to her podcasting clients that she knows what’s involved, and it gives her a great level of credibility that she can build on.